Summer reading is a brilliant practice that every child can enjoy. With most of us having more time to spend with our kids, there is plenty of time for story time. An enthusiastic read-aloud session can be the perfect summer activity—indoors or outdoors. I’ve hand-picked some great titles, new and old, that are, of course, well-suited to the summer season—hot days, lemonade stands, beach vacations, fishing, and summer thunderstorms. A lovely story of a still hot summer day that is taken over—briefly—by a thunderstorm. Three squirrels take cover from the storm, in a cave. They are joined by two mice and a rabbit who have also been caught out in the rain. Simple text with wonderful read-aloud words share the story of new friendships and depict the alluring charm of a surprising summer day—cicadas and all! 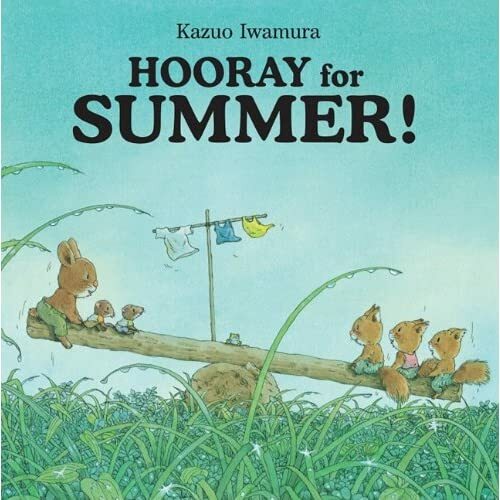 Add this book to your collection: Hooray for Summer! Kids that are already fans of the Pinkalicious series will really enjoy this latest paperback installment. The story begins with, “It was a hot day, too hot to play.” An entrepreneurial tale of a lemonade stand unravels, staying true to the “pinkeriffic” and playful nature that readers of this series have become accustomed to. The small size and the flexibility of a paperback make this a great, light-wight choice for tossing in a bag. What’s not to love about the Berenstain Bears? They are a family to admire. Always doing things together and working through issues that arise, in the most calm and rational way. 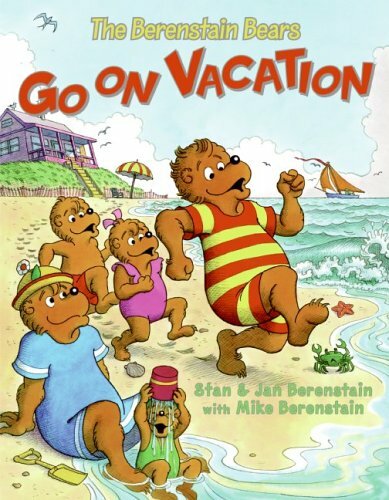 The Berenstain Bears Go On Vacation has to be one of my favorites of the series. The effortless rhyme makes it a great read-aloud, and, from the long car trip to the first dip in the ocean to a day of fishing to a beautiful sunset, I think almost every aspect of a beach vacation is covered. For those with younger children, take a look at this touch-and-feel book, Welcome Summer (Little Scholastic) by Jill Ackerman.